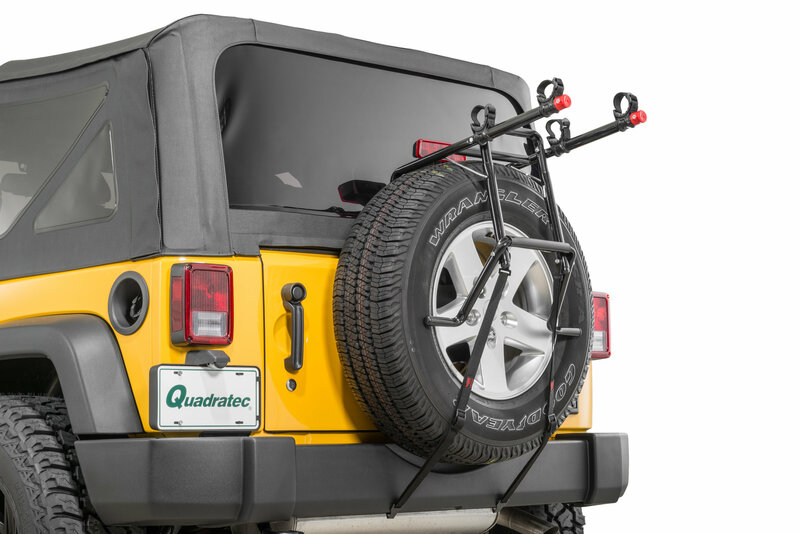 The Premium 2 Bike Spare Tire Mounted Bike Rack easily accommodates two bicycles (up to 70 lbs) with the 15 long carry arms. 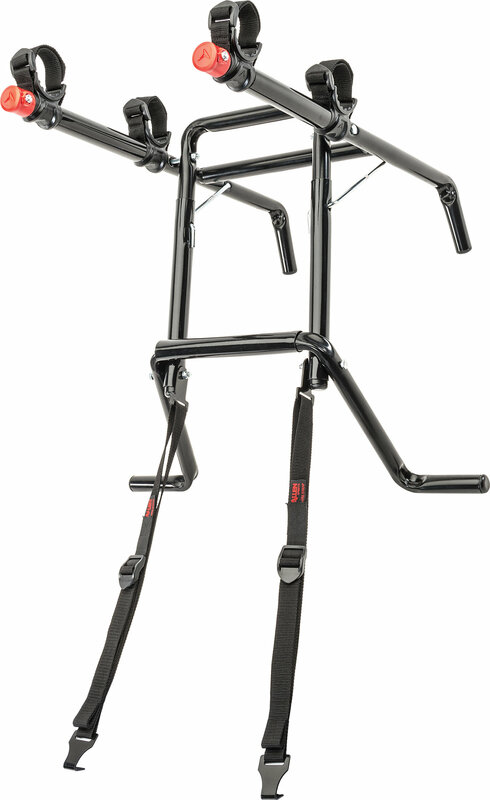 The narrow width on the carry arms are designed to work with a wide range of bicycle styles and frame sizes. Patented design carries bikes up high, away from road and hot exhaust, while the individual tie-downs cradles secure and protect bicycles. This updated design fits nearly all oversized spare tires, including those with over the tire third brake lights. Extra wide bottom foot supports weight on the rear tire not on the rim. 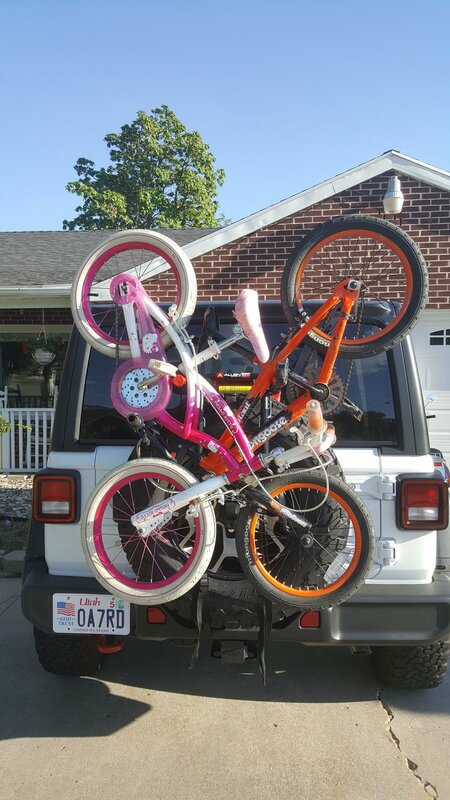 I got this bike rack as a gift last year. I only used it a couple of times and thought that it worked great as I had only been hauling one bike at a time. I recently had two fairly expensive bikes on it when out of nowhere the rack collapsed as I was driving down the road. The metal support bars that connect the mid section to the upper arms had popped out of their holes and threw my bikes to the ground causing damage to both bikes. 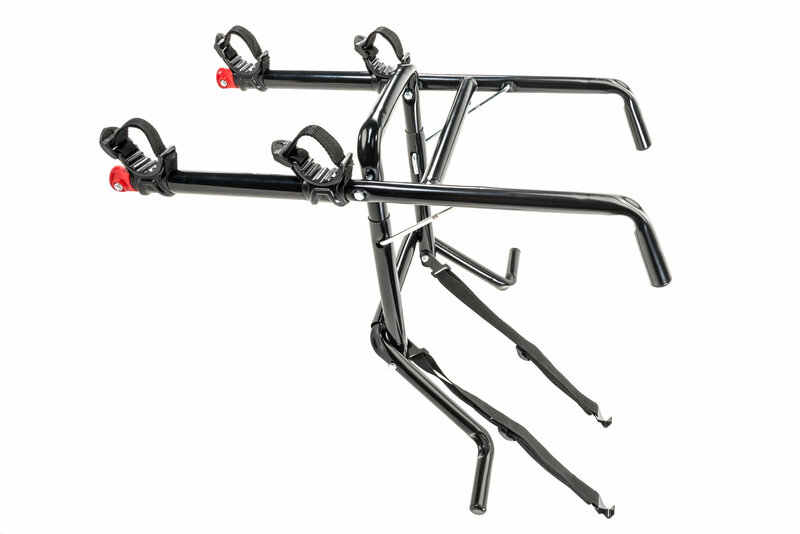 The design of the rack appears to not be built to support more than one bike. I like this model as it's lightweight, easy to get off and on, and I don't have to worry about modifying my Jeep to put this on. I found that if you shave the hooks down a bit, they fit right into the holes under the rear frame. That would be my only complaint, just make the hooks a bit narrower and I think other Jeep owners can benefit with putting the hooks into metal holes vice the plastic bumper. Will this work on the 2018 JL Wrangler? The product information from Allen on Amazon specifically states it will not. I don't see any information about this being specific to a JK, will this rack also fit a 2001 TJ? This will fit any car, van, Jeep, or motor home that has an externally mounted rear facing spare tire that is 33x12.50 or smaller. Hello, by chance can this product hold two Schwinn Sidewinder mountain bikes or should I look at another Allen rack? I don't see any reason why they would not fit. Thanks for your question.